If there is a device that has meant a change in the way of understanding the use of technology we should talk about smart watches. The Cupertino has chained a string of successful versions of Apple Watch since 2015 , and we have a Series 3 that has become a must have , being a necessary reinvention of this concept. And what you've always liked about this wearable is that it runs non-native Apple applications , that is, you have WhatsApp installed on your iPhone and the notification goes off on your watch when you receive a message. Practical and effective at the same time. Now, there may be changes, and there will be changes during this year. 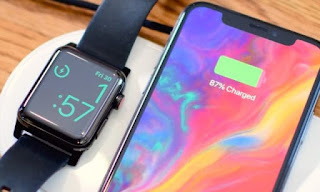 It is probably in June, at the WWDC that is scheduled for the days of 4 to 8 where WatchOS 5 is presented, the latest version of the operating system for the Apple Watch. And with this we mean that many non-native applications will stop working with this version if they are not updated by the developers of them. With the Apple Watch Series 3 of LTE support, it will no longer depend entirely on the iPhone for applications to work . 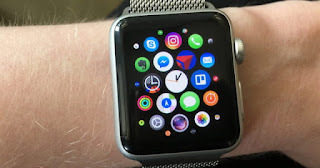 We remind that the way to connect this device to the watch is by Bluetooth, which creates an "invisible chain" of ten meters, from which these apps do not work if the watch loses the connection. And in addition to this, we will have the advantage of making applications transfer data faster than the Bluetooth connection currently does. Meanwhile we are still waiting to know when we can enjoy in countries like ours Apple Watch Series 3 LTE , whose announcement of availability has not yet been made. It could be foreseen for spring, although this possibility vanishes and September seems to be a more appropriate date.